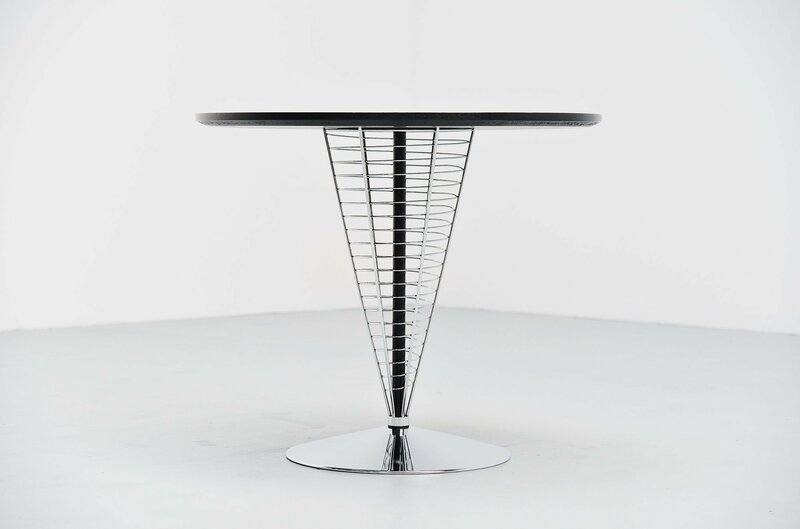 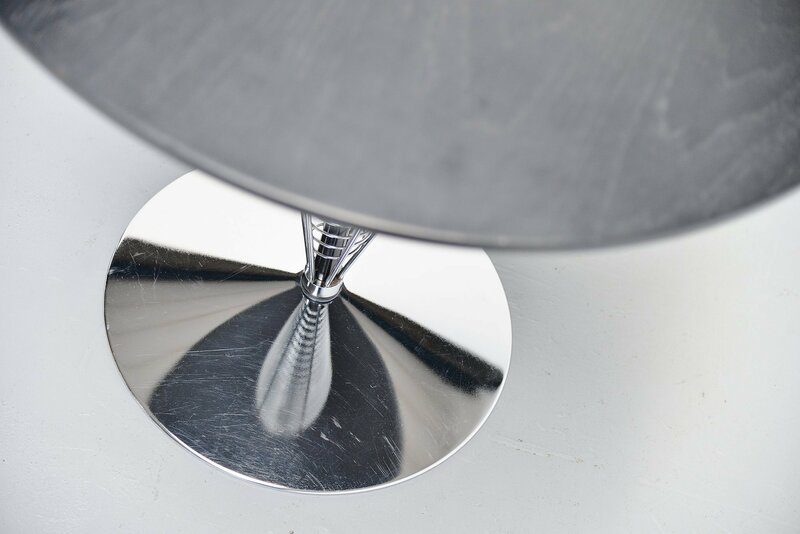 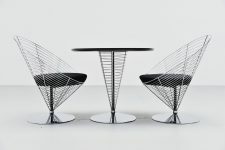 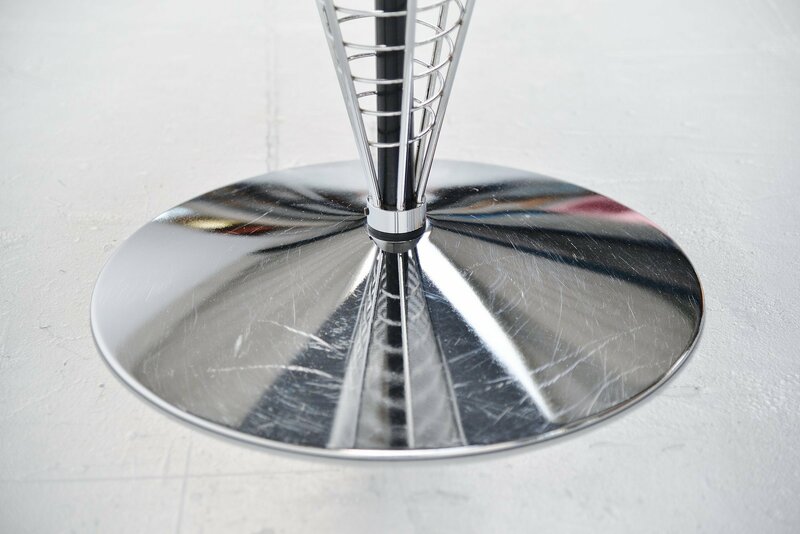 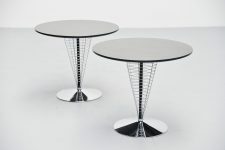 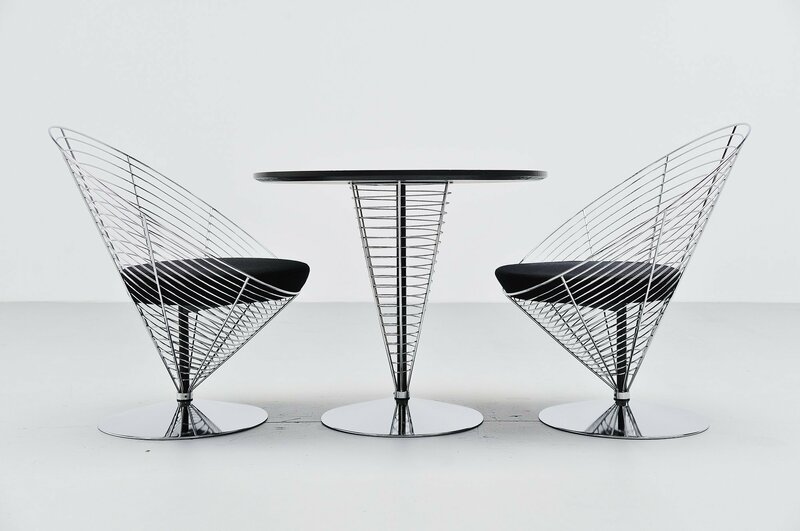 Nice and rare ‘wire cone’ tables designed by Verner Panton and manufactured by Fritz Hansen, Denmark 1988. 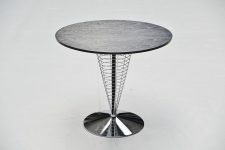 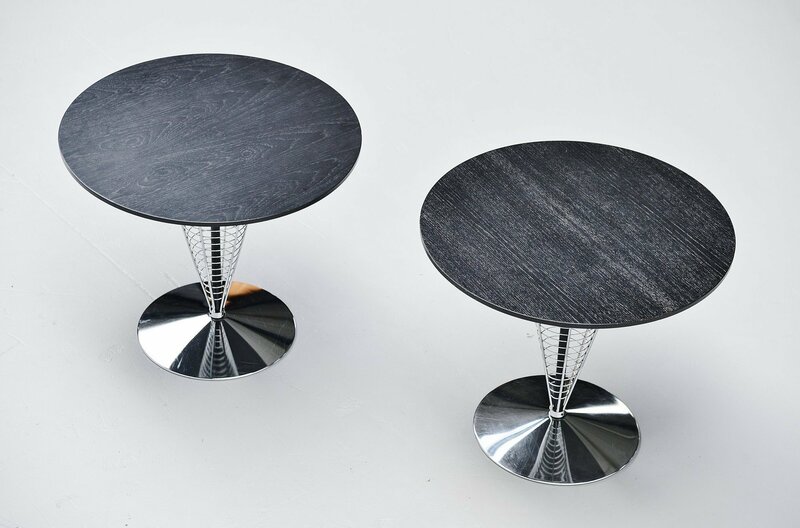 These tables have chrome plated metal wire frames and black stained wooden tops. 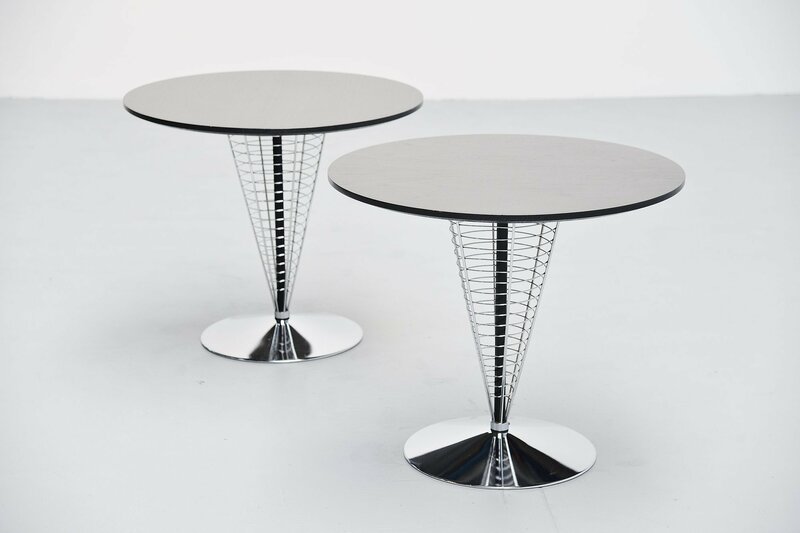 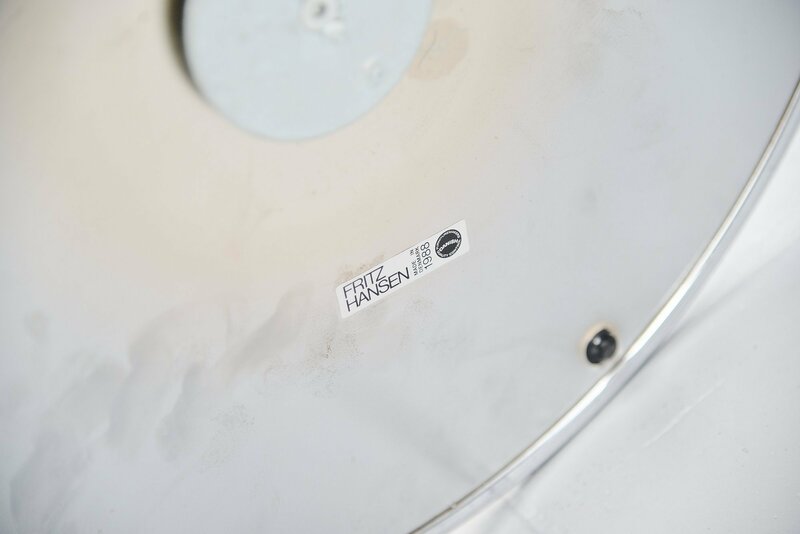 These tables are model 8820 from the very first production as these were produced from 1988 to 1993. 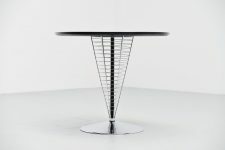 Have a look at the 6 chairs we have to match with these tables from the same series. Tables are in very good original condition.